Over the course of the summer, one player usually gets on such a hot streak that he stands out from the rest. His name pops up over and over in the elite events, and he contends week in and week out. In 2018, that player was Cole Hammer. It’s not a new name – nor is it a forgettable one – considering that Hammer made perhaps his first national headline in 2015 when he qualified for the U.S. Open at Chambers Bay in University Place, Wash., as a 15-year-old. But in the summer leading up to his freshman season at Texas, Hammer seemed to be everywhere. The breakthrough victory came at the Azalea Amateur in May, when Hammer blew his five-shot lead with eight holes to play then won in a three-man playoff. “I truly believe that was the biggest day of my golf career so far,” Hammer memorably said later in the summer. “To win it [the Azalea] this year gave me a lot of confidence, and it kind of carried through into the summer. A U.S. Amateur Four-Ball victory followed with partner Garrett Barber later that month, making Hammer a USGA champion. Chances are good it won’t be his only USGA title. Hammer logged notable yet low-key finishes at the Terra Cotta Invitational (T-6), Northeast Amateur (13th) and Sahalee Players Championship (T-4). He played all the way to the semifinals at the U.S. Junior at Baltusrol Golf Club in July. If there was one thing that made people take notice, it was Hammer’s performance at the Western Amateur later that month. He posted a 10-under 61 in the third of four stroke-play rounds at Sunset Ridge Golf Club outside Chicago, setting a new course record in the process. He easily made the 16-man bracket, then prevailed in four rounds of match play contested over two days. It’s possibly the most grueling amateur event of the summer, but the win goes a long way in establishing street cred. Not that Hammer was short on that. “Everybody realizes that having a great week at the Western can change your summer and your amateur career for the better,” Hammer said. We agree, and true to that point, golf fans watched with interest when Hammer teed it up at the U.S. Amateur at Pebble Beach later in August, again playing his way to the semifinals before falling to eventual champion Viktor Hovland. If you’re looking for a truly mouth-dropping stat, Hammer finished the year an impressive 17-2 in stroke play, his only losses coming in the semifinals of both the U.S. Junior and U.S. Amateur. It begs the question, what will 2019 bring? 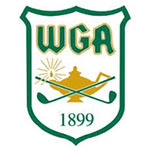 Invitational event, known to many as the 'Masters of Amateur Golf.' Quite probably the hardest amateur tournament to win. 156 invited players come from across the globe to play one of the toughest formats in amateur golf. The tournament starts with 18 holes of stroke play on Tuesday and Wednesday after which the field is cut to the low 44 scores and ties. Thursday it's a long day of 36 holes of stroke play to determine the “Sweet Sixteen” who compete at Match Play on Friday and Saturday (two matches each day if you're going to the finals) to decide the champion.